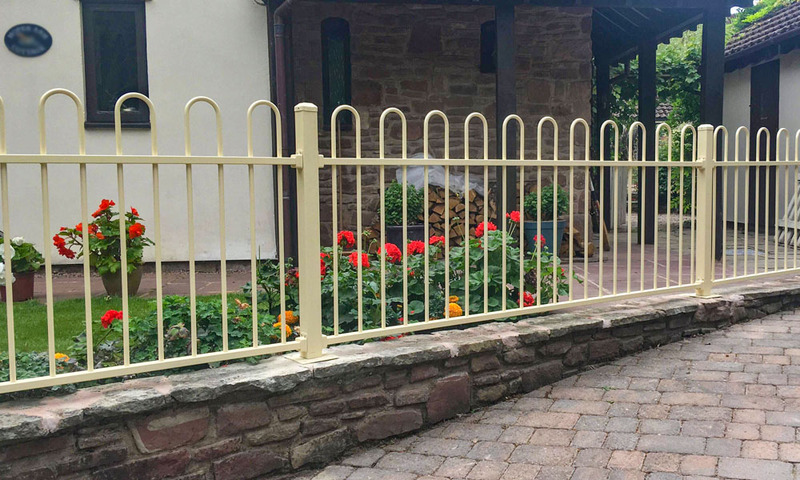 ColourRail's, garden railings are a superior alternative to wrought iron railings. 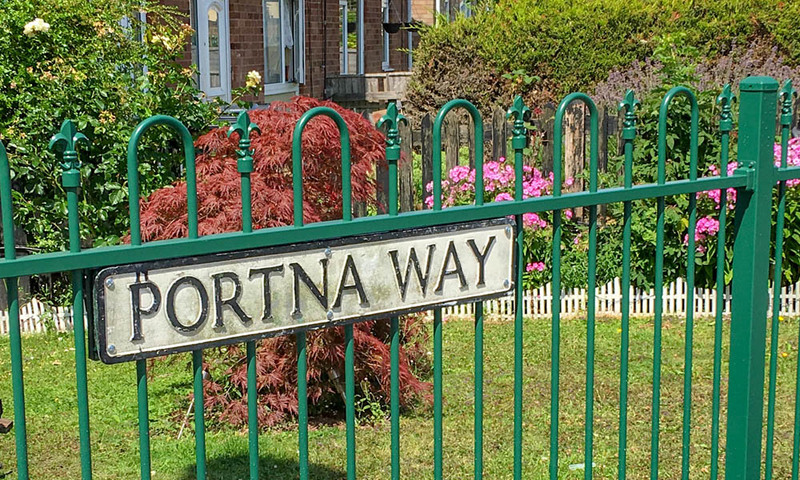 Guaranteed for 10 years, they do not rot, peel or warp. 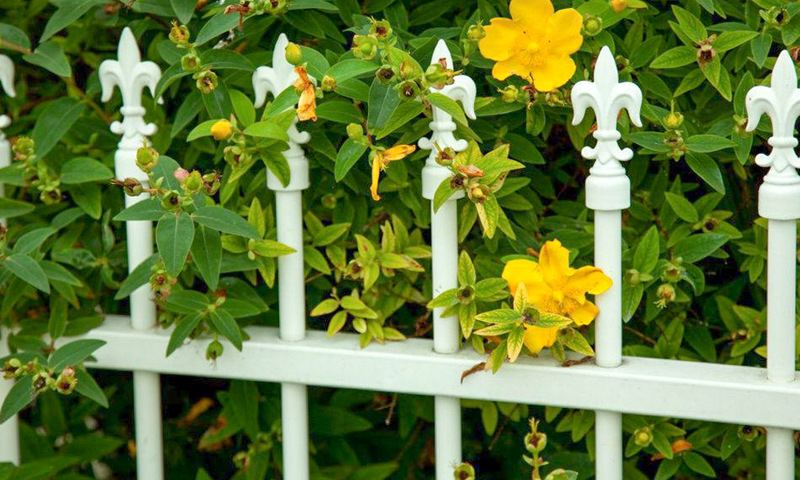 Manufactured from 16mm galvanized steel tube, and a sturdy 25x38mm frame. Available in a loop, spear, loop & spear, or with a flat top finish. 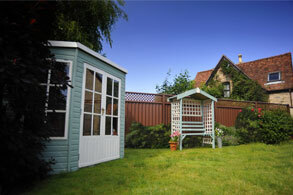 ColourRail comes in 5 colours as standard but can be specially ordered in up to 300 RAL colours. 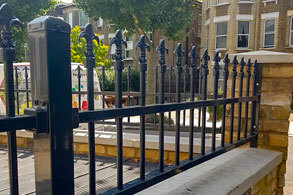 All railing and gate components undergo the necessary cleaning and pre-treatment process. 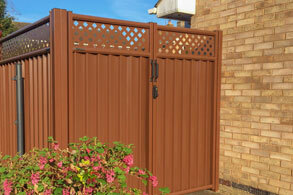 We also supply a full range of complimentary pedestrian and driveway gates in a number of sizes. 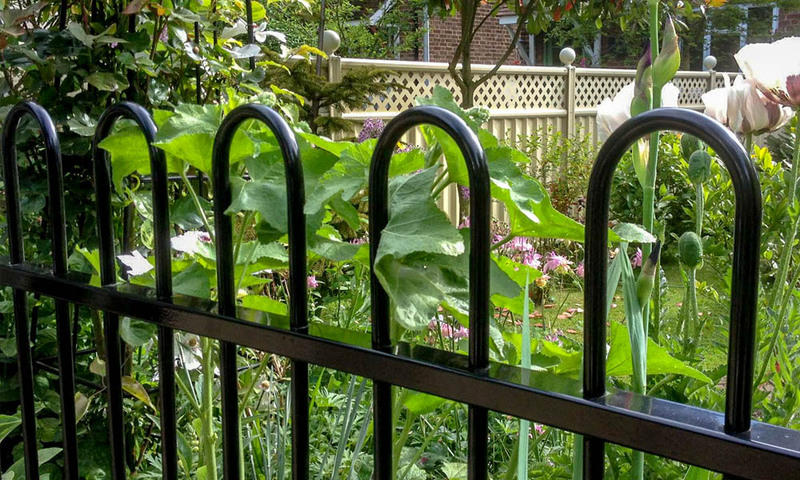 ColourRail is a tubular steel railing solution for applications where full screening is not required. 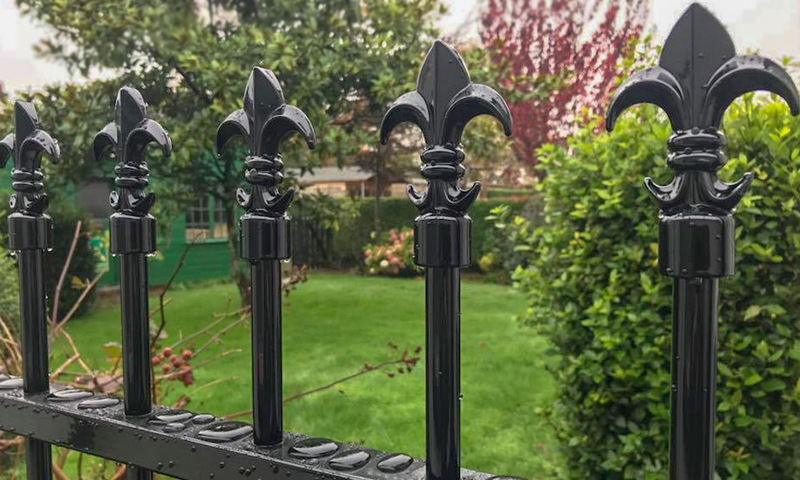 It can be mounted freestanding using the appropriate posts, or between existing pillars or on top of walls as local conditions dictate. 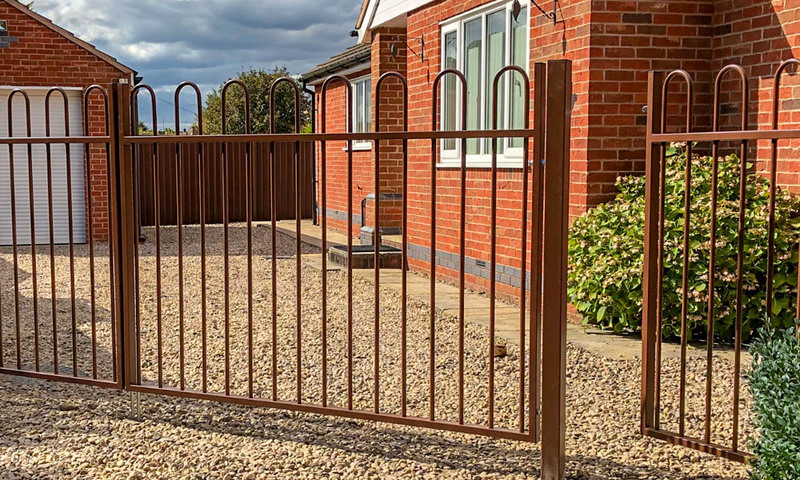 Manufactured from 16mm galvanized steel tube, and a sturdy 25x38mm frame, it is available in a number of standards heights up to 1.5m and comes in cream, blue, green, brown and gloss black. 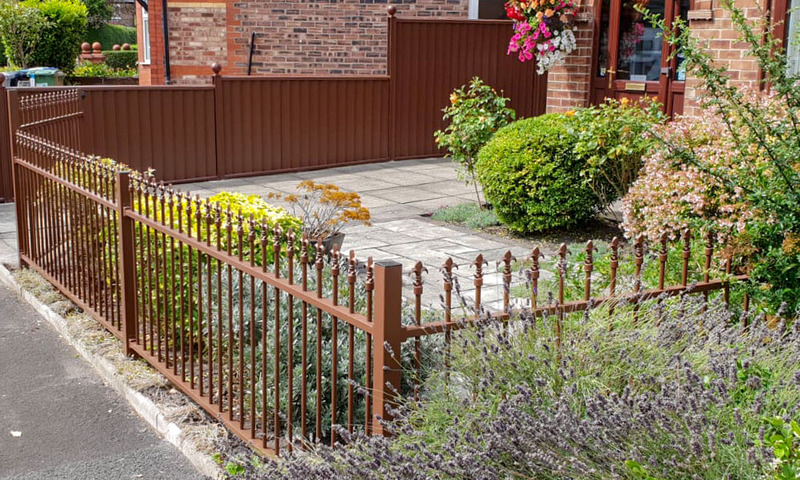 Upright posts (if required) are 60mm x 60mm, pre-galvanised steel, colour matched to the railings. 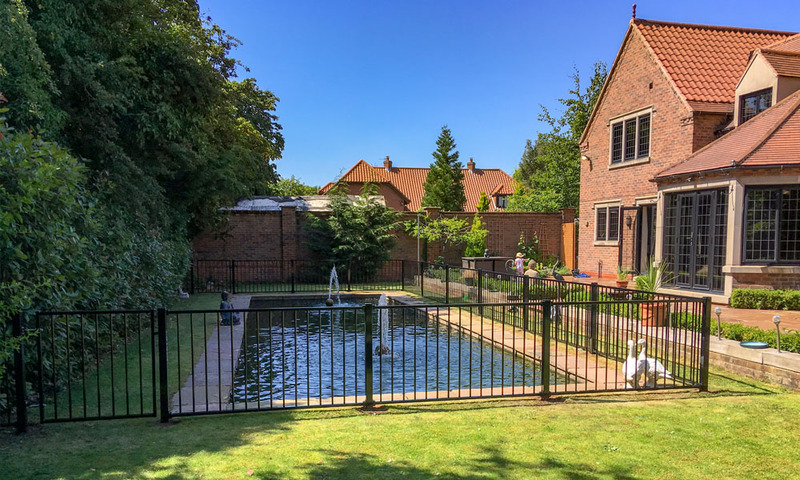 Available in loop, loop and spear or all spear finishes, non-standard heights and widths can be accommodated for bespoke applications at a small additional charge. 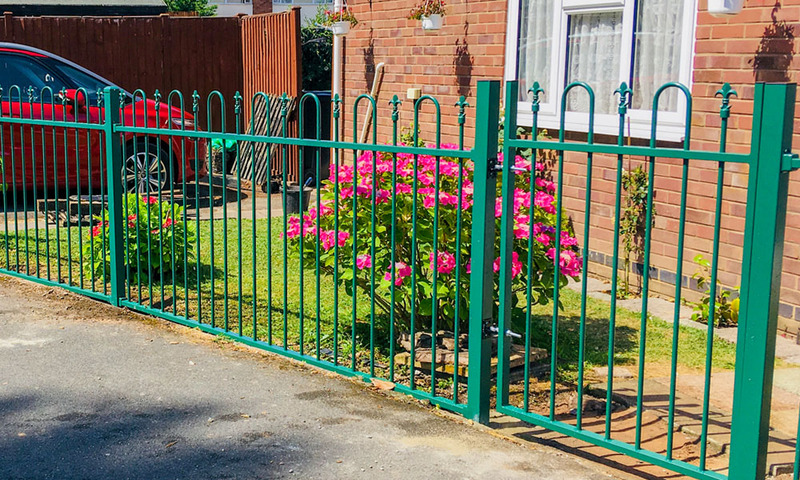 We also supply a full range of complimentary pedestrian and driveway gates in a number of standard sizes and finishes but as with our railings, bespoke commissions can also be undertaken to order. 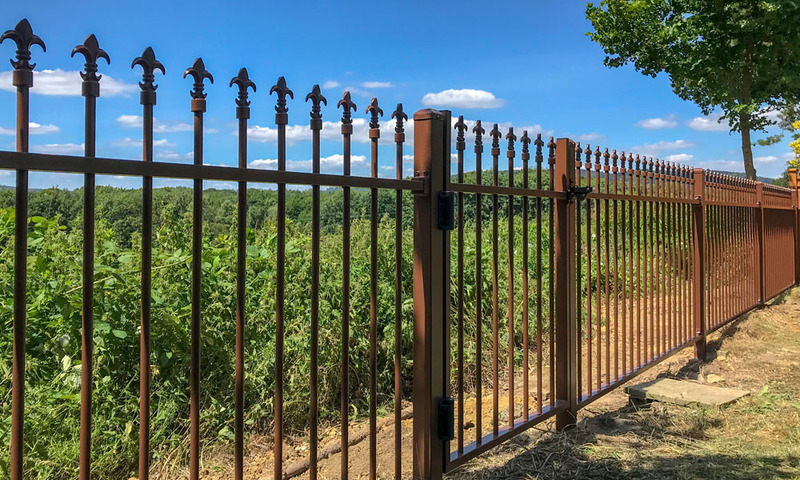 All railing and gate components undergo the necessary cleaning and pre-treatment process prior to the application of Akzo Nobel Interpon D1036 architectural grade polyester powder coat. 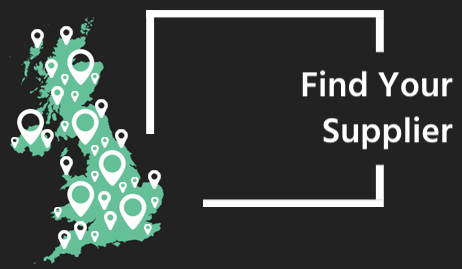 Five colours are offered as standard with over 300 RAL colours available on request (subject to minimum order quantities). 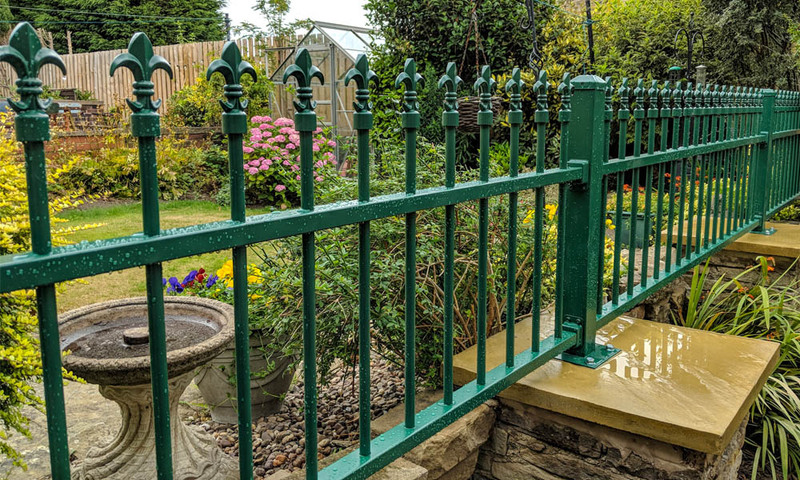 Both railings and gates are finished by hand in our own workshops and are a high quality, economic and very attractive alternative to more costly wrought or cast iron. 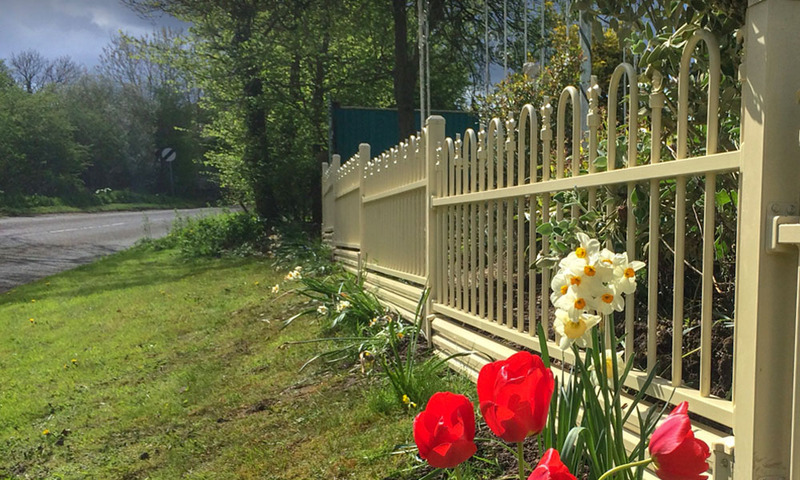 Guaranteed not to corrode or flake for ten years, ColourRail is another maintenance free product from ColourFence that you can fit, forget and simply enjoy.